Does Grapefruit Interact With Zoloft? Grapefruit can cause adverse reactions with many medications, including many antidepressants and other psychiatric drugs. As of August 2011, the antidepressant Celexa is not one of the antidepressants known to be adversely affected by grapefruit. Though the United States Food and Drug Administration doesn’t warn against consuming grapefruit with Celexa, this doesn’t definitively rule out the possibility of harmful interactions. The U.S. Food and Drug Administration label for Celexa, approved Jan. 1, 2009, does not list grapefruit as a food substance that could cause a negative reaction with Celexa. Additionally, according to a Lexis Nexis search conducted on Aug. 9, 2011, no mainstream journals, magazines, newspapers or periodicals have published any findings regarding any side effects that can occur from combining grapefruit and Celexa. However, according to The People’s Pharmacy, the vast majority of drugs haven’t yet been tested to determine whether they interact with grapefruit. 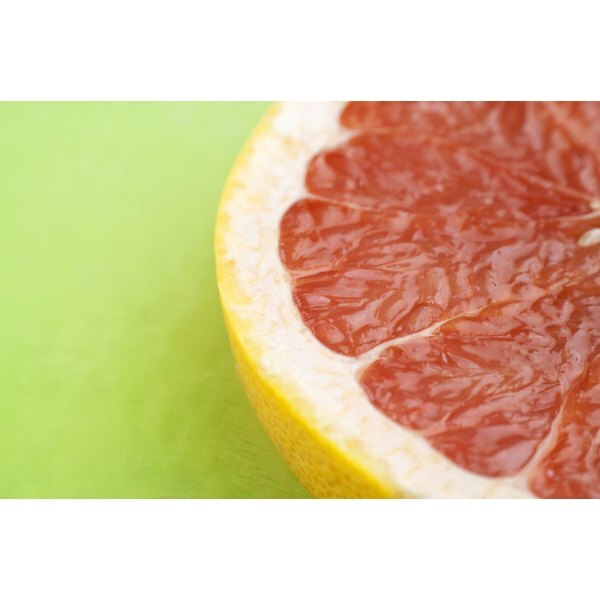 Grapefruit prevents your body's CYP34A enzyme from efficiently metabolizing drugs. If drugs aren’t metabolized before gaining full access into your bloodstream, you will essentially be taking a much higher-than-prescribed dosage. For some people -- and for some medications -- the buildup can prove serious. If you combine calcium channel blockers -- a type of blood pressure medication -- with grapefruit, your blood pressure may fall to dangerously low levels. If you combine birth control pills with grapefruit, you increase your risk for blood clots, which could lead to gangrene, heart attacks or strokes. While an elevation of Celexa in your bloodstream may not cause problems, it makes sense to either avoid grapefruit or seek medical advice before combining Celexa and grapefruit. Though the U.S. Food and Drug Administration’s label for Celexa does not cite grapefruit as potentially creating an adverse reaction with Celexa, it does mention that the CYP34A enzyme is involved in metabolizing Celexa. Since grapefruit is known to inhibit the CYP34A enzyme, it could potentially react adversely with Celexa. However, the FDA states that in testing the combination of ketoconazole – known to be a strong CYP34A inhibitor – and Celexa, no adverse reactions were found. Celexa does not depend solely on the CYP34A enzyme to break it down. While Celexa may not cause adverse side effects with grapefruit, many psychiatric drugs are known to react negatively with grapefruit. If you take more than one psychiatric drug, medications known to interact adversely with grapefruit include buspirone, triazolam, sertraline, midzalom and diazepam. Additionally, the drug quetiapine for schizophrenia, the drug clomipramine for obsessive compulsive disorder, the sleeping medication zaleplon and the antidepressants trazodon and zaleplon may react adversely with grapefruit, according to the People’s Pharmacy.